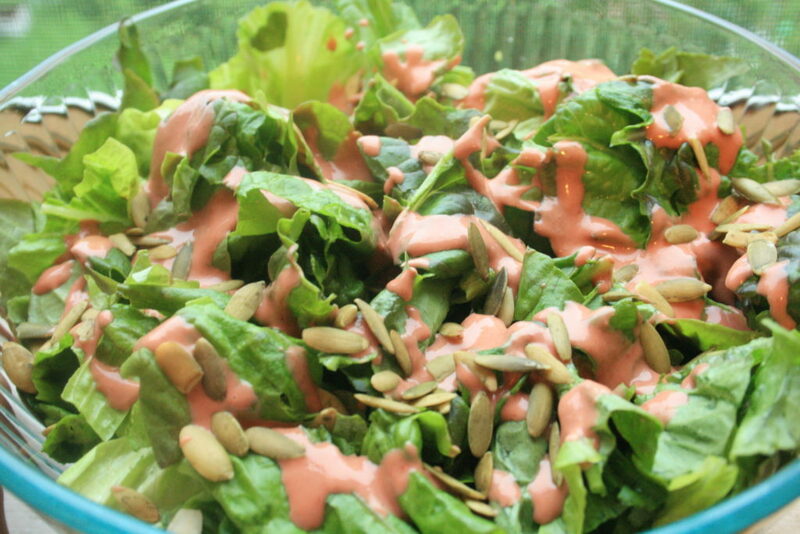 We picked a day to showcase cherry dressing at the dinner table. When said dinner time arrived and dressing was needed, it was pouring rain! That didn’t matter to her, or even to me, quite frankly. 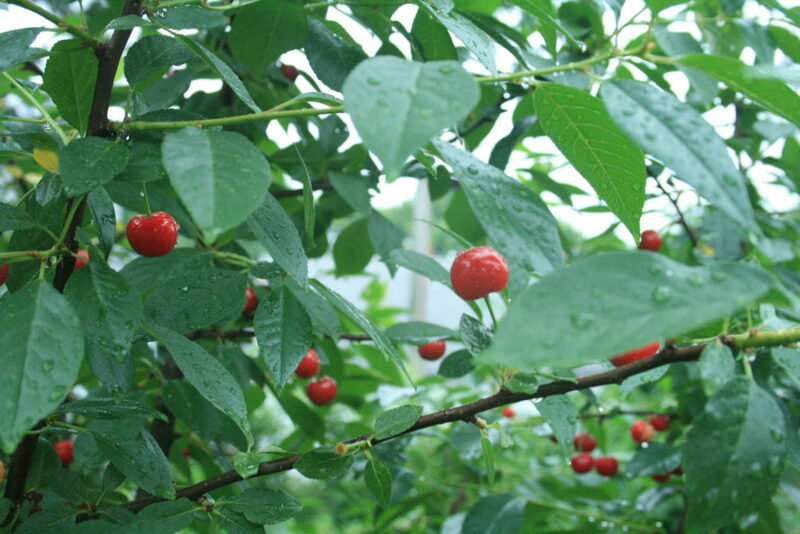 The cherries were beckoning! Have you ever gone out in the rain, and just looked around? Looked closely? 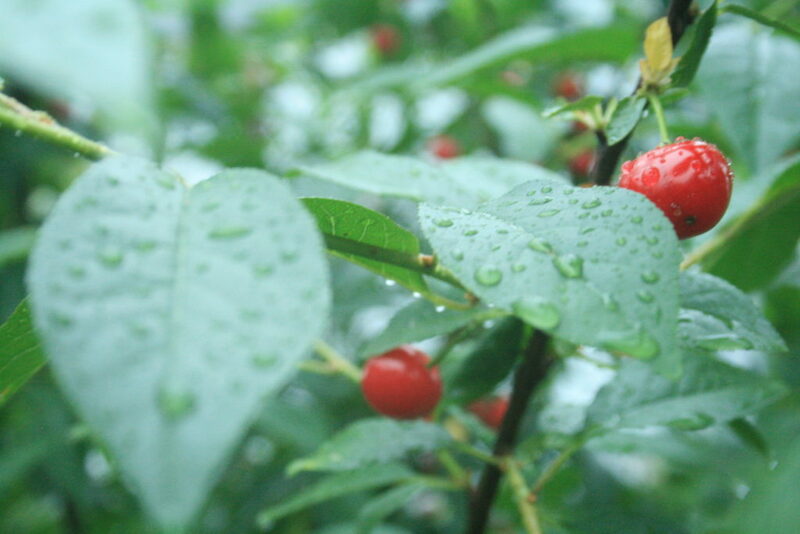 I’m glad we picked cherries in the rain. It was breathtaking. Ok, so back to dressing. I don’t do a lot of measuring in the kitchen. But this is just dressing. You’re not going to miss something and pull a rock-hard brick out of the oven. It’s just dressing. Dump, toss, pour, mix, taste and tweak! Be creative! To bring this head of lettuce from the garden to entree level, we topped it with more cherries, salmon, finely grated cheddar and raw pumpkin seeds. Delish! 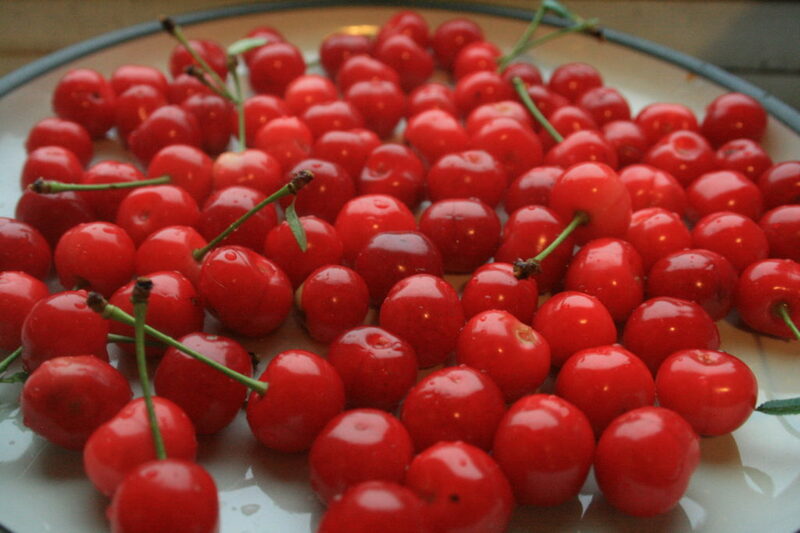 Remove stems and pit the cherries. 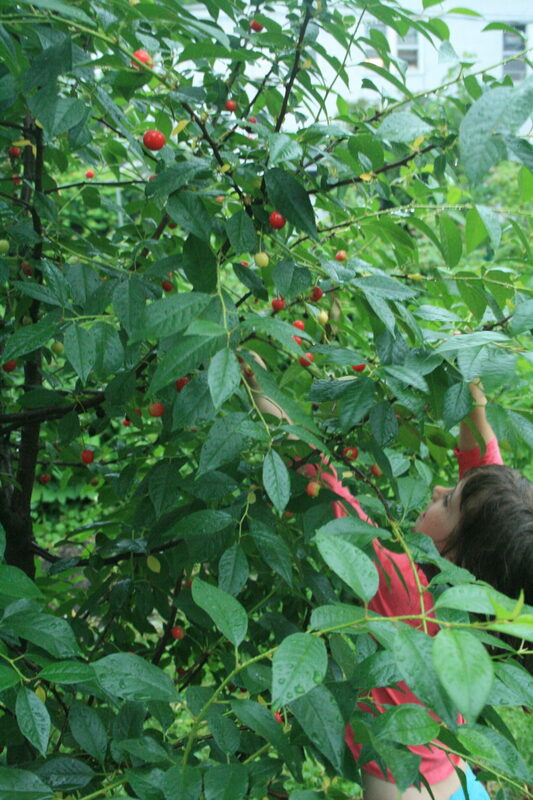 Kitchen tip: No cherry pitter? Use a chopstick to pop the pits out the other end! Toss all the ingredients into your blender or food processor on high. Whiz until creamy! A note about vinegars – all three of the listed options will work. If you opt for balsamic, you will get a deeper, bold flavor. 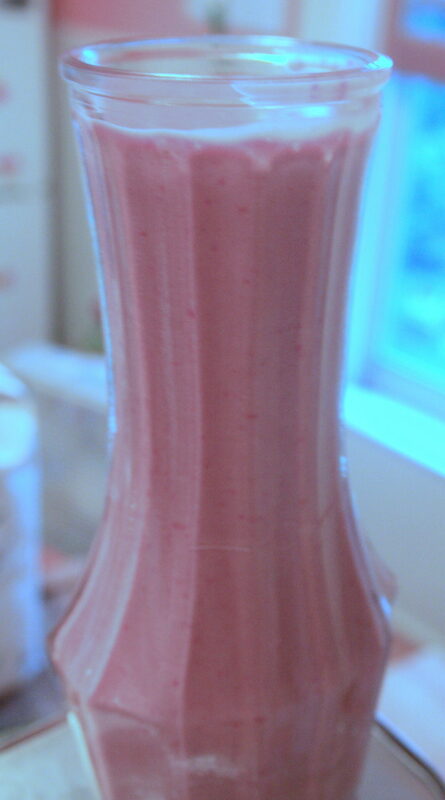 Red wine vinegar will be medium to taste, and white wine vinegar will make a much bright, sweeter dressing.